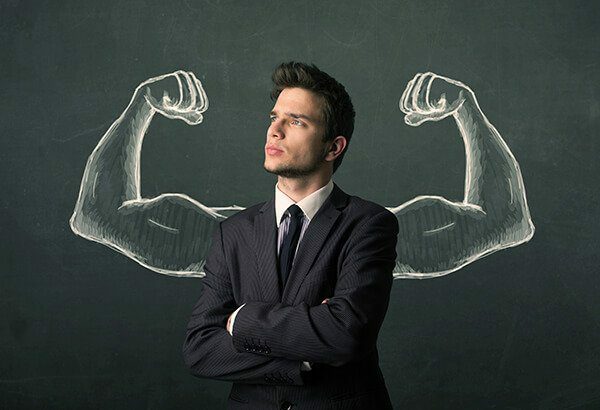 The Courageous company founder, Ryan Berman, believes that courage is any business, being, or brand’s ultimate competitive advantage – if they’re willing. Ryan’s newly released book, Return on Courage, addresses this head on. Ryan’s company is a change consultancy that develops “Courage Brands” and trains companies how to operationalize courage. Ryan defines the concept of what courage is all about as finding yourself and knowing yourself. He shares the journey that led to this discovery, including how he left the company he created and managed for so many years and courageously pivoted into a new adventure. It’s a blessing to be here with all of you. I have an incredible guest. I’m going to introduce him, but I want to take a moment for myself to get grounded in this at this moment. There’s so much that’s happening. I know in fact in the world there is so much happening, but even in my own little corner or quadrant of that, I am busy. It pains me sometimes to say that word. I don’t typically say the word busy but there are a lot of things. It’s a dynamic time in my life. I know that I am connected to everything and everyone else as we all are that it must be a dynamic time in all of your lives as well. Wherever it is that I’m meeting you in that dynamic range, let’s all take a breath for the moment. Get grounded and be present for the moment. The other things will certainly be going on around us. For now anyway I’ll say this, it can all wait. This moment is special. I’m feeling lucky, incredibly blessed to be able to spend this time with all of you. I’ve got an incredible blessing as well in the form of Ryan Berman. 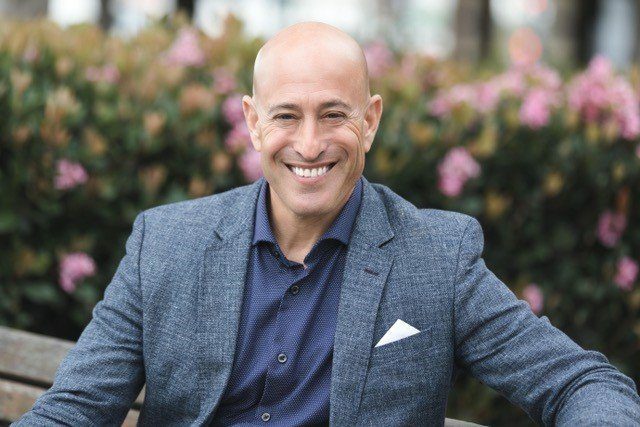 He is the Founder of Courageous, a change consultancy that develops Courage Brands and trains companies how to operationalize courage through his online Courage Boot Camp. He has spent a career developing meaningful stories for household brands such as Caesars Entertainment, Hilton, Major League Baseball, New Era, Puma, Subway, US Ski & Snowboard, and UNICEF. Ryan believes that courage is any willing business, being or brands ultimate competitive advantage. His book, Return on Courage, addresses this head on. He used the methodology unveiled in the book to launch his own Courage Brand called Sock Problems, a charitable sock company that socks different problems in the world. It’s awesome to have you on the show. Thanks for being here. Thanks for having me. I appreciate being here with you. It’s an amazing bio and a blessing for me to be able to read it. What I’d love to know and I know our community loves this as well is what’s not written? What’s in between the lines of that bio that you’d love for people to know about you? I’m trying to figure it out like everybody else. You read a bio and it sounds so perfectly in ink, like you have it all figured out and that’s twenty years of work. What’s not in the bio? “Ryan Berman fumbled and failed over and over again for years.” That part gets left out of the bio. Those failures are experiences that I’ve been able to use to figure out what’s next as well. What’s between the lines is there’s so much more than there. I love how you started the show. I appreciate all of who I am, the good and the bad. There is no bad. The imperfections are what make us who we are. I totally agree with that open as well. Life is not neat. It’s not necessarily orderly. I’m not somebody that even requires that. I’ve been known to leave a messy room or a messy situation in my life. I’ve created some of those and all that. I don’t need it personally to be so neat and orderly. I craved the certainty. This is something you and I were chatting about is how certainty is something that maybe we all as human beings crave on some level, that security. To let go of the requirement and even the “need for security and safety” is not an easy thing to do. I believe in my core that it’s the journey that I’m on. I think we’re all on is this ability to let go, trust and to live in faith. I don’t mean spiritually even, even though that’s certainly a part of my existence, but the ability to know where we’re all okay no matter what. What are your thoughts on the need for security and safety and knowing what’s ahead? Operationalizing Courage: At the core of you is the central nervous system, and it’s calling every shot you make. I want to circle back to clarity epidemic. That’s a turn of phrase you don’t hear all the time. What do you mean by clarity epidemic, Ryan? She proceeds to tell me her definition of success is when there’s no daylight between the professional her and the personal her. That interview was in Orange County. I live in San Diego. You can imagine my drive back in silence. It was like me and my two knuckles on the steering wheel as I drove back down to San Diego. I started to figure out what this concept of courage really was about. It’s about finding yourself and knowing yourself. One of the big a-ha moments I had on the word itself is courage is a journey where you need it when you’re in the messy and in the muck to get to something meaningful. Doing something meaningful in your life to me is more of the destination. How are you going to know yourself well enough to at least do your best to impact whatever that future looks like? This is where we were taking the conversation because I don’t think you knew I was a lawyer for eighteen years. When I told you that, you had a reaction. Do you remember what you said to me? Part of my journey has been to be able to not be so guarded. I’ve lived a pretty good guarded life. When I was eighteen years in that profession, I didn’t just guard myself and my family. I guarded my clients. This idea of well-protected dropped in for me. What did you mean about that? I went off that way. I was curious, what were your thoughts on what does it mean to be well-guarded? It means to feel somewhat from a perception standpoint your definition, some version of safety. Sometimes that safety feels good. For your audience who doesn’t know my background, in my last life, I ran a 70-person creative agency. To be honest, I felt like a fifth-year senior walking around the hallways of my own company where I couldn’t make the impact and the change or I chose not to, for whatever reason, I felt well-protected. I felt it was safe but I didn’t feel like I was doing something at the level that I was going to make my mark. For a show called The Conscious PIVOT, I feel very much alive right now even though there’s not a lot of proof of what I’m going to do next is going to work. That it’s going to be adopted. This is the reason this showed up in the show anyhow at this moment because our community is filled with people who are either mid-career considering, am I going to go the extra 50 yards to the finish line or the goal line or am I going to pivot? Am I going to transition? There are a lot of people already in their pivot at some point beginning, middle or ready to pivot again. 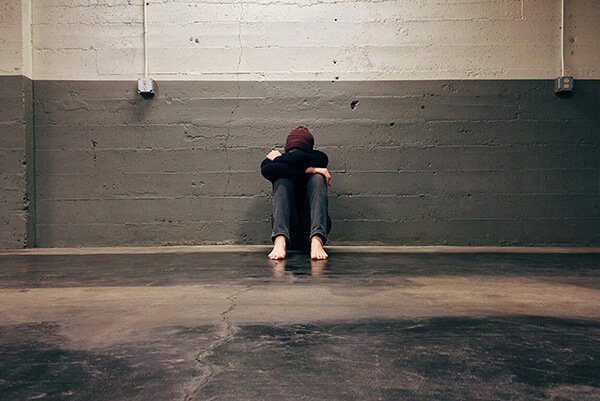 There’s no question that for me, as I was transitioning out of practicing law, I would say, “Yes, I was well-protected.” That feeling insulated that felt claustrophobic to me. That’s probably the way it felt or feels to a lot of folks. I want to ask you that direct question whether that’s a little bit about why you moved out of the more traditional space of running a company or being in an executive role and then wanting to go out and create something, do something that was yours. You definitely expanded the size of the box. We’re always living in a box. It’s small, insulated, protected and that’s a good thing on some level. At some point, when you feel maybe like those walls are closing in or that you’re not able to expand, you do something about it. Tell us about where you were when that happened when that dropped in. That must have been a shock to you and maybe even some folks around you that you are going to leave what was the brass ring for a time? It’s the irony. Here I am writing a book about courage and the real question is, “Am I going to live the premise authentically or is it going to be fake?” Unfortunately, that’s the “don’t lie to yourself.” How do you start by having an honest conversation with yourself and being like, “Am I living out the life that I thought I would live at the level that I thought I would live?” This happens to a lot of creators. Let’s talk about the first maybe unconscious pivot with growth. Sometimes you go from creator to manager. I love creating. It’s not that I don’t love people because I do. I know when I became a manager and I hired smartly and I had people running that didn’t need me because they got it. I empowered them. Something changed for me and I was like, “I’m not making an impact that I want to make at the level I want to make it.” The joke is if you’re going to write a book about courage, you have to live with the premise. I thought I was writing this book to deviously position my last creative company and it gave me the courage to fire myself. I love what you said that in some ways when you write a book, it forces you to live it. It’s the courage to do it, but it’s also what then shows up as a result of it. Not only did you have the courage to make that departure, but after making the departure, that’s probably when the courage starts to begin. For me, leaving the law was a huge decision but it was the pivots that happened afterward that required me to live into the book that you’ve written and put out in the world in that. That still is the case. You’re probably called to courage a lot and more so now than even before you wrote the book, is that accurate or not? Operationalizing Courage: Poor leaders turned leadership into cheerleader-ship. They think their team needs a pick-me-up, but they’re not authentically giving people the truth of what’s going on. It’s totally accurate. I believe it in the state it and create it. Get it out of your head and spout it somewhere, tell someone you love or put it on social media. The ultimate is a book that’s going to be out in the world for everyone to see. What I like about that is that book keeps me honest too. I don’t know if you felt this way when you were writing your books, I felt like I was writing more of a documentary than a book because I didn’t have all the answers. Curiosity took me down all of these different paths to see what I could find. Once the book is out there and you’re like, “How can I activate this in my own life?” One, I thought it was writing the book for one person. I’m a storyteller. I study the story structure. Every movie and book is primarily saying, “The hero thinks the treasure is one thing and it turns out to be something entirely different. A perfect example, “Who did I write the book for? Who needed the book more than anyone else on the planet?” “Me.” I needed the book. Did I write a book for myself? How narcissistic does that sound? In some ways, I was the first person that needed this and it’s allowed me to then break out of my last life into this new life. There’s great irony in that. Joseph Campbell’s work on The Hero’s Journey. Even I was reading Michael Hauge, it’s a great audible book called The Hero’s 2 Journeys. This whole idea that not only is this outer journey that we can track and see and all that, but there’s an inner journey that’s happening at the same time on a parallel path. Sometimes there’s this place where there’s a disconnect for us on the journey and it calls a lot of things into question. The question that you asked at the very beginning is what do you stand for? What was the moment of truth for you were here you are, you’re running a creative agency, it’s your baby but now you moved from more of the creative side to the management side? You’re running a business. You have this, is it a dark night of the soul? Is it a moment of truth where you have to determine for yourself, “I’m going to make a change?” Is the question, “What do I stand for?” a part of that or is it some other process that you went through? That’s an interesting one. That is Ryan-ism officially. It’s Ryan-ism and I like that too. If you are having that conversation with yourself, you think you might regret not going for it. You were eighteen years as a lawyer. Something maybe inside said, “This is a necessary evil, I want to flip to a necessary good.” We need lawyers. That’s how I feel about advertising, which was my background. I was like, “It feels a little bit like my necessary evil. I know it can be a necessary good. I’d rather put my time into inspiring other people or helping people be better versions or how do you take somebody that has stuck and get them unstuck?” That was the best part of the book writing process was the research of you sitting with a guy named Nicholas Alp, who was a Cambridge PhD that studies the way that we’re wired and broke down the central nervous system. Let’s talk about these three words. 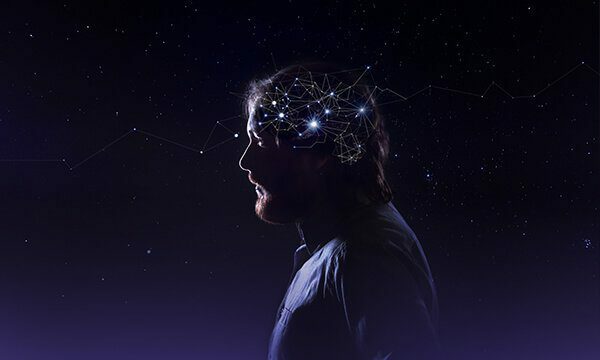 At the core of you, central is a system, your computer designed for your nervous tic, central nervous system. It’s calling the shots. It’s calling every shot you make. It’s saying, “Don’t say that. Don’t touch that. Don’t think that. Don’t do that. Don’t feel that.” I wonder if I could help you combat that central nervous system with the central courage system like, “Could I hack your central nervous system and give you the tools you need so when you’re in a hard situation, your central courage system would take over?” That’s the premise of the book like, “Is there a way to teach people how to operationalize courage in themselves and do it in a way we almost take the risk out of the risky part of being courageous?” You’re never going to have all the answers. That’s what my journey over the last few years has been figuring that process out. Ryan, walk us through a little bit of that system. I’m curious about the corporate context. By that, I mean in an organizational context. For folks that are reading and you’re the organization, you, yourself, and you. It’s as applicable to you as it is for a company that’s 50, 100 or 10,000 employees. What does that look like? Let’s start by putting the business and yourself on pause and start with this question, if you had to guess, is your company more a coward brand or courage brand? If you’re going to put it on a spectrum, where would you put it in from coward brand to courage brand? We’ll say one to five is a coward brand and six to ten is courage brand. Pick a number. Where are you? Maybe right in the middle, we’ll call it like a stasis brand. Coward, stasis, courage. Meaning status quo, some maybe equilibrium point, is that what you mean? Operationalizing Courage: In believer-ship, the sole goal of the believer is to make believers. You’re not taking action at the level that maybe you need to. We’re talking about the corporate here. The statistic that set me off on this journey was that over one of the two of the Fortune 500 since 2000 are now extinct. I want our folks to hear that statistic. It’s 52% of the Fortune 500 since 2000 are now gone. The Fortune 500 started interestingly in 1955. Sometimes they ask people how many companies were in the Fortune 500. It’s not a trick question although it appears as one apparently. Yes, 88% of those companies are gone. I love this premise of why. Will you take them next? The idea was like, “How could I avoid that?” When you say 52% of the Fortune 500, since 2000 are gone, you go negative first. The flip is positive. That means there’s an opportunity. That means spaces are opening up. If you’re not in there, this is good news. The question and I believe courage of all things like becoming a courage brand is the remedy to this particular issue. There’s a PRICE of being a courage brand. PRICE is the five steps to becoming a courage brand. PRICE stands for Prioritize, Rally, Identify, Commit and Execute. The first step is to prioritize values. It’s going back to understanding ourselves. I’ve already talked a little bit about core values that are not high roles or have an exceptional role. I don’t know how old the audience are. Millennials may have missed this but my favorite movie growing up was Jerry Maguire. I love this movie. There are three amazing lines in Jerry Maguire. One was, “Show me the money.” This is a great line. Anyone has a problem with, “Show me the money.” Nobody has a problem with showing me the money. Two was, “You had me at hello,” which is a sweet line and then three was, “You complete me.” You complete me screwed my entire generation because I don’t believe in you complete me. I believe in me complete me. I believe in you compliment me. When you compromise too much, eventually you become compromised. I liked the idea going back to values is knowing yourself fully. This whole “You complete me” idea, you need someone else to complete you is a fallacy. It’s complete me. The origin story for this whole “I love my life” thing, which has become part of our brand and a movement in many ways towards self-love, toward this idea of how it is that you love yourself first so that you complete you. The origin of that is Jerry’s mentor in the movie. Do you remember the guy’s name? His name is Dicky Fox. Dicky Fox says at this certain point he’s talking about his philosophy in life, a business, and in relationships, he says, “I love my life, I love my wife and I wish you my success.” That was 1993 or 1994. Our kids were young. Chelsea was two and Lindsay was just born. I was getting out of law school. I remember seeing that and thinking, “I want to love my life.” It wasn’t until maybe ten years later that as I’m putting my feet on the floor in the morning and dreading what I’m going to do for the day, the money was great. The prestige or the respect was great. I was fully insulated. I was well-protected and yet I’ve put my feet on the floor feeling this dread and thinking I can’t say honestly I love my life because eight, ten, twelve hours of the day, I hate my life. When 55% of the people are in a job or actively looking for another job, there are a lot of people hating significant portions of their life. That’s a tough thing to admit. I don’t like my lying on it, but people will readily say, “I hate my job. I hate my boss. I hate what I’m doing for a living.” There’s no question that to have the courage to be able to do something about that starts with who you are. Prioritize being the first step in that to get clear on your values. It is a huge starting point. It was for me and clearly, it was for you as well. I wonder if you pull the country, you’ve got 320 million of us here, how many have run a personal core values assessment on themselves and truly has done the hard work to know themselves? Prioritize the values and obviously lived the values that they’re emoting. Even for myself, playfulness is my number one core value of all things. I take my work seriously, but I don’t take myself that seriously. I like to play. I want to play around. I want to have a good time while we’re here. We’re not here that long. To me, I do well with other people that are playful. When I run into super serious birds, it’s okay. I recognize that we’re wired differently and that’s okay too. They’ve got to go find their people. For me, I do well when I find my people and which that leads to the second step of PRICE, which is rally believers. You even make believers or fake believers. In the corporate world, by the way, fake believers, they don’t wear a t-shirt that says, fake believer. They nod and smile and collect a paycheck. That 55% is looking for another job hoping to be fulfilled and doing something else. I will say from a corporate standpoint when it comes to rallying believers, I liked the concept of leadership. We need great leaders now more than ever. Poor leaders turned leadership into cheer leadership. They start rah-rahying to their team. They think their team needs a pick me up. Basically, they’re lying to the team versus like authentically giving people the truth of what’s going on there. Cheer leadership may work with part of the staff, but the people that are doing the work are like, “That’s BS. Give it to me straight. I’d rather have the truth from you.” I like the word believership. The sole goal of the believership is to make believers out of your staff, make believers out of your board, or make believers out of your customers and it keeps you honest. It reminds you of the whole goal of believership is to make believers and find your raft mates in life. I love this concept of raft mates. 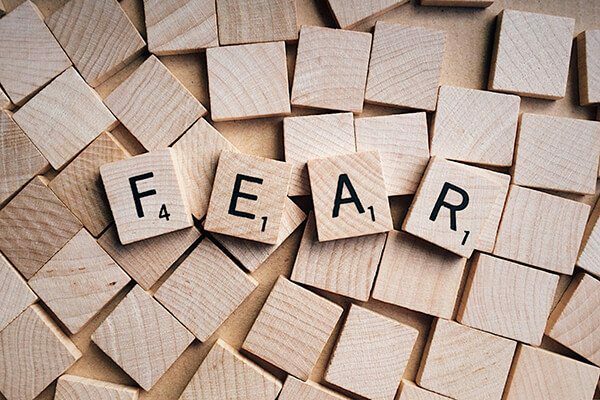 Operationalizing Courage: You actually can’t get to the courageous choice without first channeling it through fear, but the last thing most of us want to do is address fear. Raft mates say more about that. There are only so many spots on the raft. If there are too many people on the raft, it’s going to sink. If we’re not communicating, people are going to be rowing in the wrong direction. Find your raft mates. Who are the five to seven people you can trust in this world that are part of your raft and go back to where we were before, valuing myself? I felt like I was in a pretty comfortable raft and I was afraid to jump back into the cold water. I knew it wasn’t the right raft for me anymore. I had to go find them the right raft or create the right raft. To me, that’s what it’s all about. It’s a great visual. I love anything that touches on the water for whatever reason. Simon Sinek had a big part of his book, Start With Why, I talk about that people don’t buy, what do they buy, why you do it? That whole idea of believership is paramount. It’s paramount both internally as well as externally. How the market intuitively feels into what you’re doing and whether or not it resonates with them. I is the next in the acronym. It starts with know yourself, find your people, prioritize through values, rally believers. We get into the heavy stuff. It’s about identifying fears. You said it perfectly. Whether this too is something happening in your corporate life or your home life, there’s this famous proverb that “Fear and courage your brothers.” You can’t get to the courageous choice without first channeling it through fear. Most of us, the last thing we want to do is address fear. In fact, we will suppress fear. This is flipping it. This is like I want you to have more fear in your life and understand what the fear is. Smoke it out and identify it. As a Seinfeld Fan, I like to say I’m in the fear shrinkage business now. That’s how people figure out what fears are in front of them and to put it into a business context. This is covered in the book. The way that I’m looking to audit that fear I think is a better way to the SWOT. I don’t know if you remember the SWOT analysis. It somehow survived 60 years as our standard. It’s totally amazing; strengths, weaknesses, opportunities, and threats. The idea here is what if we looked at fears like that? I’m looking at industry fears. We’re looking at product fears. We’re looking at perception fears, which is pretty much marketing. We’re also looking at personal fears. If you can bring your full self to work, then you can be vulnerable and talk about the things that keep you up at night, which is, “Am I going to be on an island by myself if I recommend this? Who’s got my back?” Unfortunately, in the office, you’re even part of a watch your back culture or you’re in a got your back culture. Obviously, if you’re in a watch your back culture, then it’s probably going to be very hard to share those personal fears. If you’re in a “Got your back” culture, then you can share, “I don’t want to get axed for this. Are we all in this together?” Business is so hard enough as it is right now? There’s so much competition. The business apocalypse is very real. The last thing you need is another war going on inside your own leadership team. It’s find your people and then address what keeps you up at night. Start to identify those fears so you can shrink them down the line. Let’s fill out the PRICE. C is commit to a purpose. Simon is an old colleague of mine from our New York days. I love watching what he’s done. He’s on top of his game. I agree that knowing your why is critical. The 75% of our workforce is going to be Millennials in the next decade. They wear their values on their sleeves. They vote with their dollars. Not only do you need to know your why, but I think you have to inject a rally cry in your why. You have to put a rally cry in the why for people to stick around. Figuring out what that purpose is, why are you doing the things that you’re doing? This is not a marketing ploy. There is no silo between your purpose as a company and how you react to the universe. CVS is a great example. I don’t know if you remember, their whole purpose was putting on a path for better health while they have cigarettes that they’re selling in their stores. How is that going to help somebody be healthy? They pulled it. They pulled the cigarettes from all of their stores because it was on purpose. By the way, society rewarded them with their stock price. That was their ultimate return on courage and their stock price went through the roof. To me, this is not a marketing thing. What’s the purpose? Why are we here? How are we going to help people be better versions of themselves? To me, it’s putting a rallying cry in your whys. People want to follow you with something that’s truthful, emotional and purposeful. Finally, it needs to also be differential, which was the four pillars of a truthful purpose. I’m reminded of that Starbucks situation that happened. If you can imagine Kevin Johnson sitting in your office, feeling pretty good about your company, stock price and everything else. You get a phone call that says a manager at a Starbucks in Philadelphia arrested two people, not two people, arrested two African American guys for no apparent reason for using the bathroom. Talking about something coming up. The guy contrary to what was probably a lot of conventional wisdom given to him as in, “We’re being threatened with a lawsuit. We’re under threat. We’re a public company. Let’s do an investigation. Let’s figure some stuff out.” Definitely don’t make too much of a public statement here. Certainly, don’t do anything that indicates that we’ve done anything wrong. Classic lawyer advice, play it safe or at least be defensive. He gets on national TV the next morning, gets on Good Morning America to not deny, not blame, not justify, but to do the opposite. Talk about a guy with a certain amount of courage to stand up and be heard on the topic and say, “This is unacceptable. This can never and should never happen at one of our stores and we’re going to get to the bottom. We’re going to look at it. We’re going to resolve. We’re going to do something about it. We don’t know exactly what yet, but we will figure that part out.” Sure enough, two months later, they resolved the dispute with these two gentlemen in a very amicable way of partnering on some training and some things. They closed down 8,000 stores, which to the tune of about $11 million would cost them to close those doors for four hours for unconscious bias training. The idea that it’s not overt bias that we’ve got to be looking at what possibly is in the fabric of the company and the culture of the company even that’s on an unconscious level that is unacceptable. The guy put the money where the mouth is, put their reputation on the line, and said, “We stand for something more important and this is unacceptable.” I think the return on courage was the same for them. Something I definitely respected how he handled it. It was creative and it’s interesting because you brought up fear and hacking, fear experts and things. This is something that they very well could have responded to or reacted out of fear. That would have been a more conventional path to a threat, but instead what they did was they found a creative opportunity. I would say we’re looking for a creative opportunity and found it and then utilized it to a great degree to not only resolve things but also to make the brand stronger in the process. It’s in that moment of courage where there’s a story that needs to be addressed and how you choose to respond to it. We’re going all the way back to where we started it. This is the value of values. If your values are CYA values or just in case values and that’s all you choose to use them for, you’ve missed the point of what values are there for. Values is there to drive the decisions of a company, drive your hiring decisions in your company. It should be on performance reviews. I imagine if you’re in that role as the CEO of Starbucks, you’re also thinking about the tens of thousands of your employees and their backgrounds and where his staff is coming from and is thinking through, “I’m being watched not just from financial stakeholders, but stakeholders in the company, my employees. What are they going to think of this situation?” That’s the joy of courage it’s having. When I talk about the clarity epidemic in that particular situation, having the clarity to know what the right move is for that company to make is critical. Operationalizing Courage: Courage is knowledge plus faith plus action; it has to be all three. Ultimately executing on that level of clarity, he got to the execution, which is the last equation. In PRICE, the E is execute your action. It’s almost like the do or do not. There is no try. I don’t think I ever shared my definition of courage. This is covered in the book, Return on Courage as well. My definition of courage is knowledge plus faith plus action. It has to be all three. When you’re in a moment where you think, “Maybe this is an opportunity to unlock a little bit of courage.” In business, you’re never going to have every bit of knowledge you need to make a call, which is why faith kicks in. When we talk about faith, we’re not talking about religion. We’re talking about something inside you and this inner belief. When the knowledge goes up, usually the faith goes up. At the end of the day, even sometimes when you know what to do, we don’t pull the trigger. That’s the action piece. Two and three in any direction, not courage. Knowledge and faith with no action is paralysis. Faith and action without knowledge is reckless. When I talk to my mom sometimes, she’s like, “That’s courageous.” She means it’s stupid. We have the wrong idea of what courage is and part of the reason is knowledge plus faith plus action. Knowledge and action without faith, if you don’t feel that the thing on the inside, you’re probably working on the status quo. You’re probably working on safe. It needs to be all three, knowledge, faith, and action. 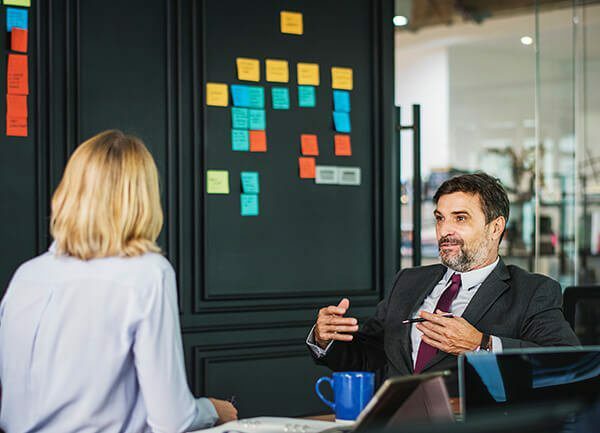 Execute your action that talks about how to help companies take the action that they need wherever they’re looking to make a change inside of their organization. Without action, nothing ever changes. 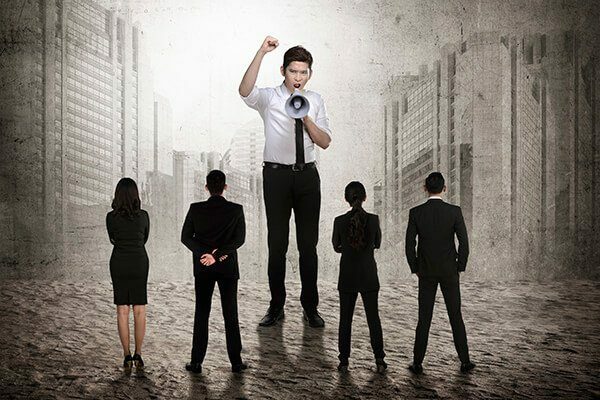 You are in fact either individually or organizationally defending the status quo which is defending stagnation and ultimately stagnation leads to death. To circle back to what you said, why is it that 52% of the Fortune 500 have gone since 2000? It’s because they’ve probably been working on protecting the status quo. That was a question I wanted to ask you. I’ve given up my answer to that. I’ll ask you if you could pin it down to one reason why those companies don’t exist anymore, why is that? I’m now mirroring your answer, which was an awesome answer. It’s fear of taking action. It’s fear of losing what you already have. You don’t put in any processes to create what tomorrow could look like. As a creative guy, it’s harder to admit the importance of process. If we’re not creating any process, we’re not creating any infrastructure to figure out tomorrow you will get past or you will die in business. If there was one thing more than anything about our book, Pivot. I say our because it’s a team effort. Not just to produce a book but to market it and to continue to convey messages to people. I definitely feel blessed that we’ve got a team behind it. The one thing more than anything else is the fact that it’s a process book. I didn’t start out to write a process book, but it turned out to be that because without that foundation of how it is that the steps that you take along the path are even starting with I’m not clear. To go back to your central question, what do you stand for? There are a lot of people reading this who couldn’t answer that question adequately for themselves. What do I stand for? That level of clarity is going to be a fundamental and foundational thing as opposed to where people want more often than not to start in their pivots, in the changes they want to make in their lives. They want to start with a strategy. They want to start with a plan. You can’t get to the planning stage or the strategy stage until you start using a process. What do you need to get clear on? Fundamentally, your values is you explained what PRICE means, to get clear on your values as a starting point is essential. I want to ask you a question about your own rituals because somebody that’s practicing courage on a daily basis and wrote a book about it both because it was your journey to that point and ironically as the case is, you write a book about the purge. The universe says, “I’m going to give you more and more reasons to demonstrate courage, to learn about courage, to model and be congruent with this thing that you’ve written about.” What are the rituals that can hold you and keep you in momentum day-to-day? I’ll tell you one very simple ritual that any reader can do. It will happen once a day if they follow this. By the way, my fears because as you start using your own process to go through your own situation. I had two big fears about writing a book in general. One was in my head, I was the least qualified person in my family to write a book. I had to get over that fear. The second is as a guy that’s made a living writing 50 one-liners hiding behind a laptop, I had a hard time writing a book about courage. What could be more courageous than a guy punching away at his laptop as I’m interviewing astronauts and Navy SEALs? I recognize as a storyteller that this was a story that needed to be told now. What I did to get me over that was every morning when my alarm went off on my phone, you can change the label on your alarm, on your phone. Every morning that my alarm goes off the message that I tell myself is liberate with courage. I needed to train myself to see that where it became a ritual for me. Every day I was writing the book I saw, “Liberate with courage,” when I woke up. I’m trying to train my unconscious brain, training myself where I saw it so many times that it became second nature and I habitualized it. It’s the core values of courageous that I see when I wake up. Whatever it is that you’re going through, go into your phone. This is where technology is so good. Go into your phone, what’s the message that you need to see for yourself? For you, it’s like helping people pivot every day. It’s a trigger. For me, it’s a very simple thing. That means you have to have clarity. We’re back to clarity again on the thing that you need in your life. When you have that, then it’s hard to take action unless you ritualize it and habitualize it. For me, that’s a very simple way that I go about attacking my problems. Once again, I couldn’t ask for the better lead like you’re handing me the baton. It’s the perfect segue. Not only to first and foremost to thank you for your time. Thank you for the great conversation. I thoroughly enjoyed this. I know our readers that this community is going to enjoy this. Not enjoy it as in great conversation, but great triggers for thought and self-awareness. Where we are in this moment I think is powerful, especially when we get a little clue as to what else is there to think about or what other ways can we approach a situation that we haven’t yet come up with on our own. Thank you for your insights. Thanks. I’m so happy to be here. I always love spending time with you. This was a joy. I will say as we depart, the way we began was with gratitude. I always have to bookend this because it’s the most powerful ritual in my own life. To ritualize and habitualize anything, it’s gratitude for me. That starts exactly where you start. That’s what I loved about what you said, Ryan, was how important the waking ritual is. Not the morning ritual where people focus on those first few hours, which is key for sure. Those first few seconds when we’re coming out of our subconscious or unconscious state and into waking state and what you say at the moment. Operationalizing Courage: Fear of taking action is a fear of losing what you already have, and so you don’t put in any process to create what tomorrow could look like. When we all get to wake up, which is we know not guaranteed. Let’s get clear about this. There was no guarantee we were going to wake up now and that we were blessed, lucky, fortunate or however you want to look at it. We got to wake up now. If we get to wake up tomorrow, it’s nothing to be taken for granted. It’s something to be profoundly grateful for. In fact, at that moment that we’re taking that first breath and I say when we are taking that first breath, there will be people who are taking their last breath. That’s the reality of it. Thank you so much. Thank you so much, Ryan, for your time. It’s been a true joy and a ton of fun. If you haven’t yet left a review of one of our podcast, please feel free to leave a review on iTunes. You can go to AdamMarkel.com/podcasts, leave a comment. We’d be thrilled to respond to you there. You go to StartMyPivot.com and join our Facebook community that’s growing tons of people like yourself. People get questions about their next pivot, that micro pivots, the larger things that are changing in their world. They want to be in a community of like-minded and light-hearted people. That’s a great place. We’ll see you there and we’ll see you soon. 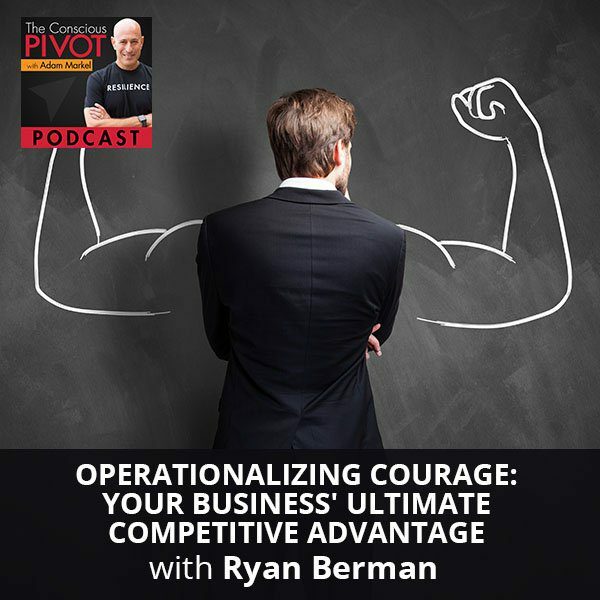 Ryan Berman is the founder of Courageous: a change consultancy that develops Courage Brands® and trains companies how to operationalize courage through Courage Boot Camp. Berman has spent a career developing meaningful stories for household brands such as Caesars Entertainment, Hilton, Major League Baseball, New Era, PUMA, Subway, US Ski & Snowboard, and UNICEF. 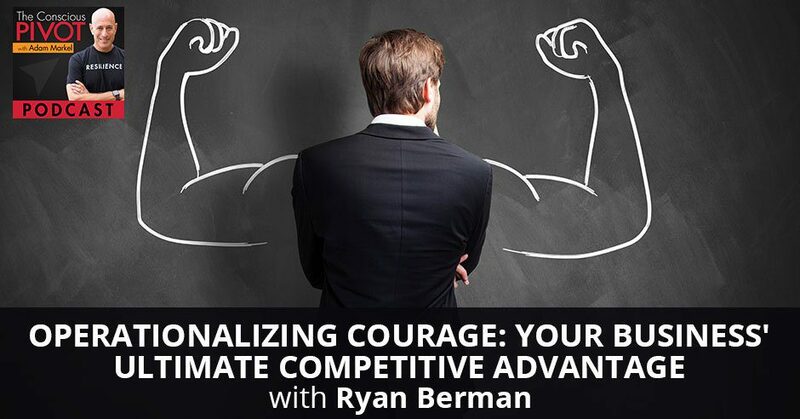 Berman believes that courage is any willing business, being or brands an ultimate competitive advantage. His soon-to-be-released book ‘Return on Courage’ addresses this head on. He used the methodology unveiled in the book to launch his own Courage Brand called Sock Problems: a charitable sock company that socks different problems in the world.